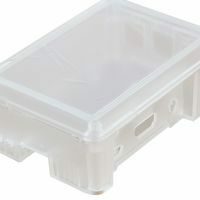 This deluxe Raspberry Pi Model B+/Pi2 Model B case is a fully customizable and adaptable modular unit aimed to suit a range of Raspberry Pi applications. Designed with integrated LED lights pipes, it’s the perfect accessory for any Raspberry Pi enthusiast. 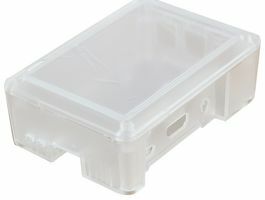 The Modular Case comes equipped with a range of customisable modular features including stack-able 10mm spacer plates, micro SD card cover, dual-use USB & HDMI security shroud, secure screw locking and internal SD card holder. Spacer plates are designed to be stacked up to 5 spacers high, so you can grow your Pi case with your project! Additional Screws are Required for more than 1 Spacer.